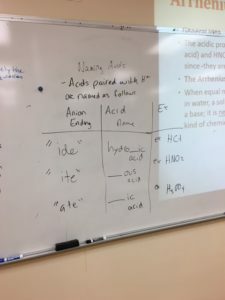 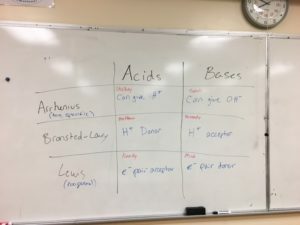 Today we finished up looking at lewis acids and bases. 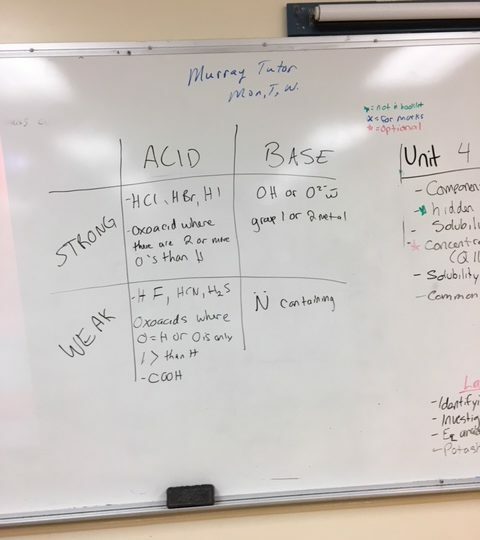 We also discussed the difference between strong and weak acids and bases in terms of properties and chemical formula. 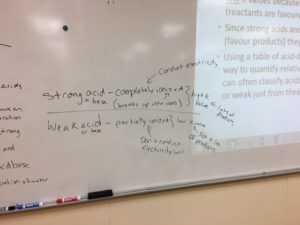 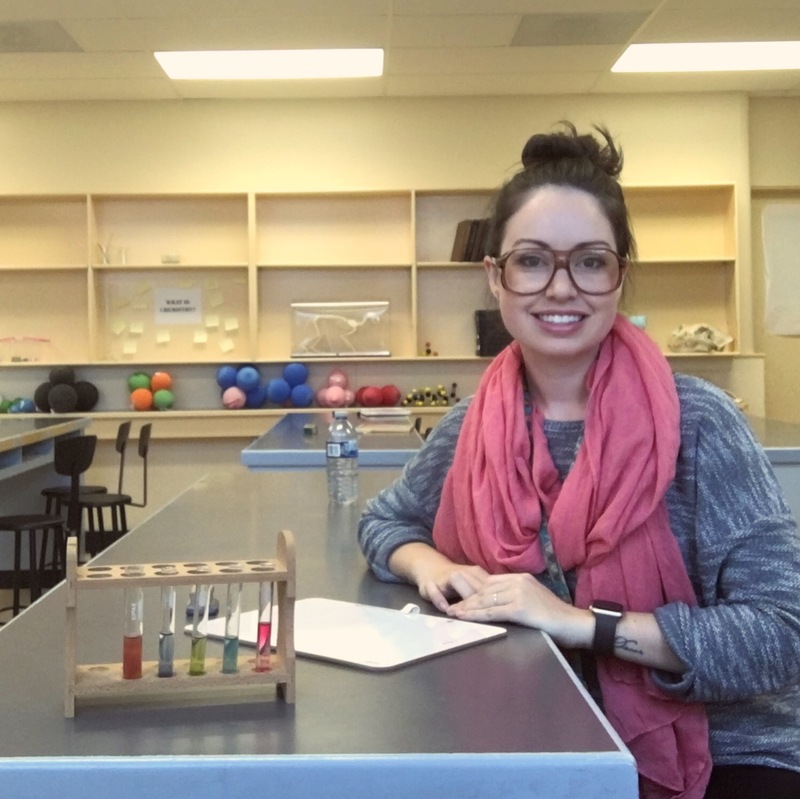 We went over some examples of how to write Brønsted‐Lowry equations for salts of weak acids and weak bases and identified conjugate acid base pairs.